Prepare for some spoilers in a half shell. The Teenage Mutant Ninja Turtles have always walked the fine line between absurd superhero parody and mythological sci-fi allegory, but this incarnation is the first version that one could ever accuse of lacking any form of depth. Even though the movie is a fun roller coaster ride filled with humor and rousing action sequences that will surely please anyone under the age of ten (and certain bloggers over the age of thirty…cough cough), it seems the filmmakers were not working from actual knowledge of the source material but rather a checklist of necessary elements and character traits with no care into how to turn them into a cohesive film. The screenplay suffers from very clunky exposition and every character is boiled down to their most recognizable traits from previous versions but do not develop any further. When you are dealing with characters that have thirty years worth of mythology from a variety of series and try to condense those elements into a two hour fire works show that makes no effort to hide the fact that it is talking down to its audience, you might be missing the mark a bit. In truth the entire experience felt more like an extended pilot for a mediocre television show than the start of a new film franchise. 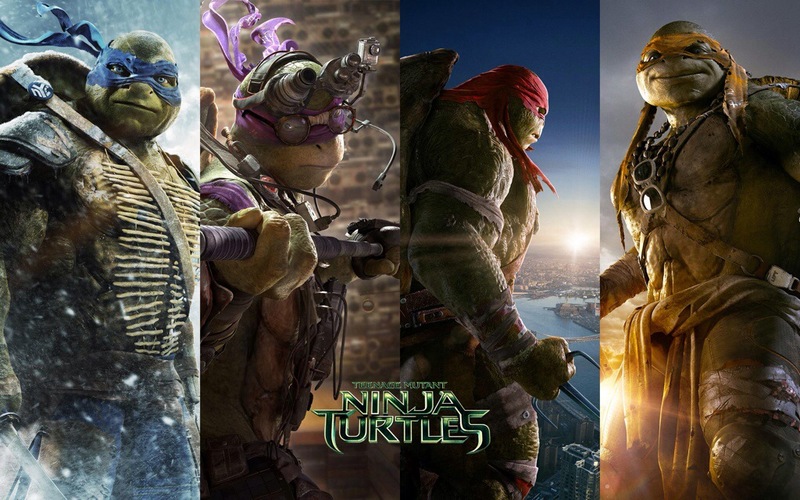 While I did leave the theater smiling at having been seen a new TMNT adventure, upon reflection I soon realized that the only reason I liked this movie is because my mind was filling in the missing character gaps as I watched it. The pacing was erratic and the difference in quality between the mostly cgi action and the live action sequences was a bit jarring. The entire project would have been better served as an animated miniseries with a better developed script.